The UGA Willson Center and Ciné host this launch event for two new books of photography published by Fall Line Press: "Carl Martin" by Carl Martin and "Nothing’s Coming Soon" by Clay Maxwell Jordan. Both artists will attend, and books will be available for purchase and signing. 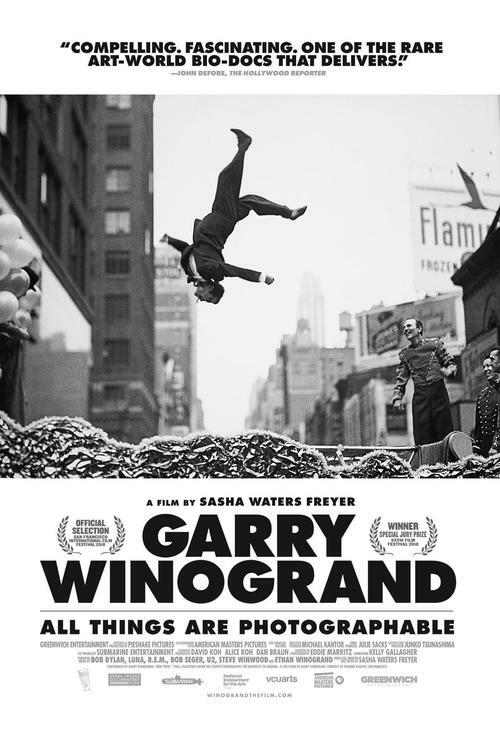 Martin and Jordan will also present a free screening of Sasha Waters Freyer’s 2018 documentary about the renowned 20th-century photographer Garry Winogrand, with an introduction and Q&A to follow. Light refreshments will be served. The event is free and open to the public. ABOUT THE FILM: The first documentary film on the life and work of photographer Garry Winogrand –- the epic storyteller in pictures of America across three turbulent decades of the 20th century. Celebrated in his lifetime and quickly forgotten after his death, Garry Winogrand is nonetheless your visionary ancestor – even if you have never published an image in a magazine or hung a print on the wall of a museum. His “snapshot aesthetic,” once derided by the critics, is the universal language of contemporary image making. In addition to hundreds of iconic photographs, the film makes ample use of Winogrand’s 8mm color home movies, plus the wealth of footage created as he roamed city streets and 1960s protests. The film also uses newly discovered audio cassette tapes of Winogrand which are the only un-staged media of the artist in existence. Forged by his own words and images, the film is a stunningly intimate portrait of a man who both personified his era and transformed it.